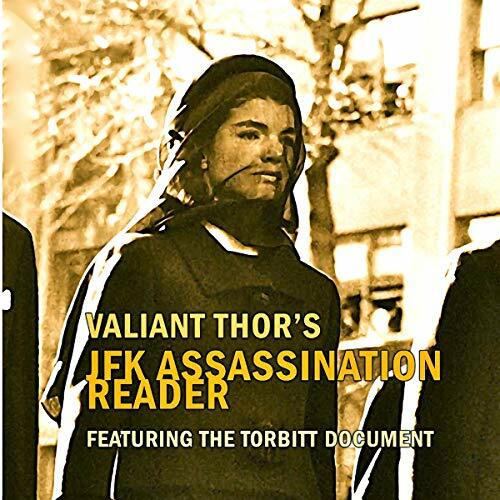 New Saucerian Press proudly presents Valiant Thor's JFK Assassination Reader - one of the last works ever published by the iconic ufologist, conspiracy buff, and best-selling author Gray Barker, whose writing informed the plotlines of shows like Star Trek, Futurama, The X-Files, Twin Peaks, The Outer Limits, and The Twilight Zone. Shuttling between his Manhattan publishing office and his secluded cabin deep in the hills of his home state of West Virginia, the prolific Barker single-handedly kept public interest focused on UFOs and conspiracies during their leanest years. He introduced many themes still discussed and investigated by today’s paranormal and conspiracy researchers: the Roswell UFO crash, Men in Black, ancient aliens, Nazi UFOs, the Philadelphia Experiment, the Flatwoods Monster, Mothman, MJ-12, secret underground bases, little green men, and the Maury Island Incident. Valiant Thor's JFK Assassination Reader and its sister books, Mysterious Ascension, Serpents of Fire, Saucers of Fire, Saucers of Fear, Bigfoot Shootout, Time-Traveling Through Swamp Gas, and When Men in Black Attack: The Strange Case of Albert K. Bender, were collated by Barker shortly before his death, using material culled from deteriorating copies of his notoriously speculative newsletters and gossipy syndicated column - for years the most widely read national column on UFOs, Forteana, conspiracy, and “weird science”. This unique edition was guest-curated by the illustrious thinker Valiant Thor and features an introduction by Gray Barker, as well as articles by such JFK research notables as Jim Garrison, John Judge, Fletcher Prouty, Mae Brussell, Timothy Leary, Alex Constantine, Martin Cannon, Paul Rydeen, Paul Kangas, and William Torbitt. They shed urgent, much-needed light on the "high-strangeness" aspects of JFK's murder.